This stiff-bristled 240 grit wheel is coated with abrasive particles to sand irregular shapes and contours. 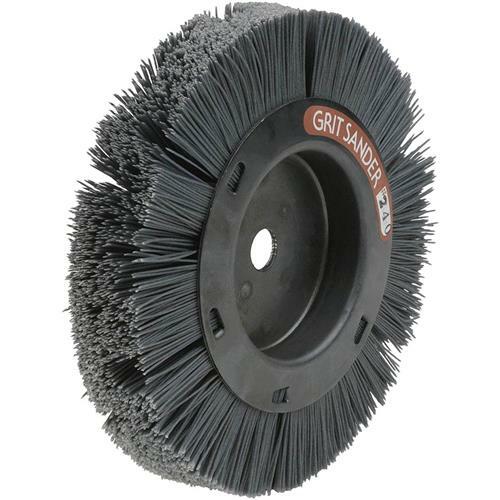 This wheel mounts on a bench grinder and provides an efficient way to clean up rough edges on small spindles, carvings, etc. Worth every penny!